Light, strong, and cheap, PVC (polyvinyl chloride) pipe is highly suitable for do-it-yourself projects. Instead of buying expensive manufactured lamps, save money and do a little to save the environment by building your own lamp from PVC pipes. A PVC lamp is quick to assemble and has a cool, futuristic look. 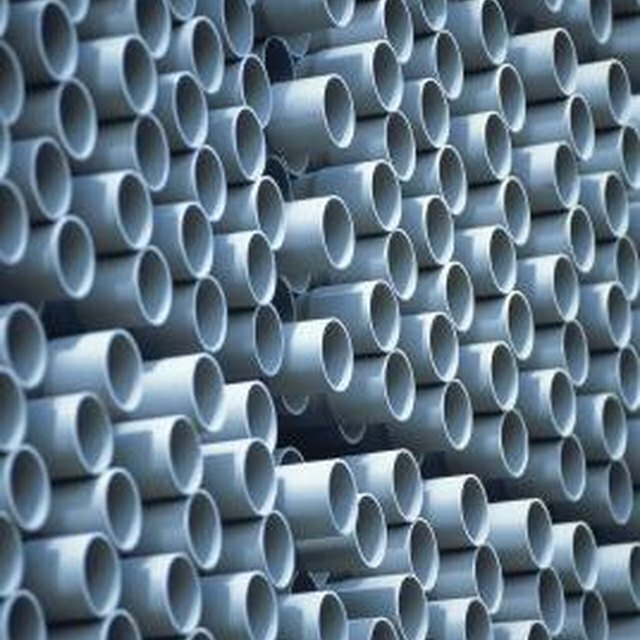 PVC pipe is readily available at home improvement and hardware stores. Thread the light bulb socket's power cord through the 12-inch pipe. Spread glue around the edge and just inside the "bulb" end of the 12-inch pipe. Press the socket firmly into the glue. Allow the glue to dry for at least three hours. Thread the power cord into the up-facing hole of the five-way connector and out one of the other holes. Press the 12-inch pipe into the up-facing hole. Thread the power cord through one of the 3-inch pipes. Press the pipe into the five-way connector where the cord comes out. Attach the coupler to the end of the 3-inch pipe. Insert the remaining three 3-inch-long pipes into the remaining holes of the five-way connector. Cap each of these three to complete the lamp. To make a floor lamp instead of a table lamp, use a 60-inch length of pipe instead of 12-inch, and use 6-inch pipes for the base instead of 3-inch pipes. Use solvent cement specifically designed for PVC instead of glue for a stronger bond. Based in Brooklyn, N.Y., Mike Venture has been writing since 2005. He has written for the RAND Corporation, Sterling & Ross Publishers and Metropol Literary Agency. He has also worked as a technical writer at several software start-ups. Venture holds a Bachelor of Arts in creative writing from the University of Pittsburgh.